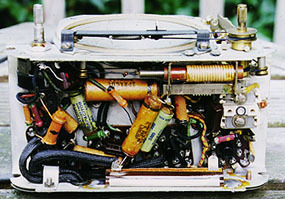 Tube complement: 12SA7 mixer/oscillator, 12SK7 IF, 12SQ7 detector, 70L7GT audio output/rectifier. Approximately 6-7/8 inches / 174 mm wide. 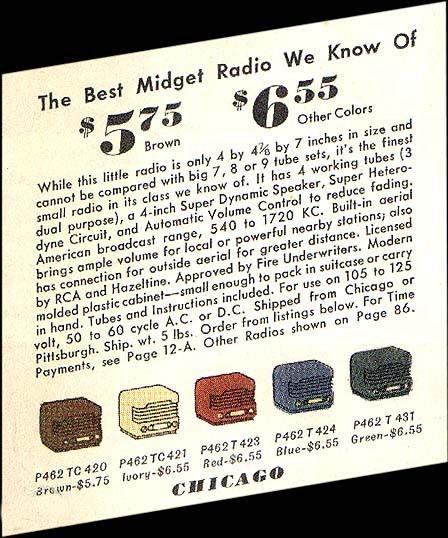 The BR in the model numbers indicates that these radios were made for Montgomery Ward by Belmont Radio. 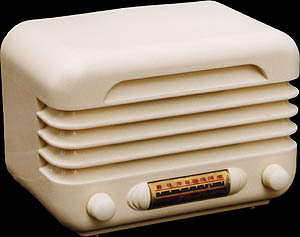 Here are two views of the white radio's clean, completely original, chassis. 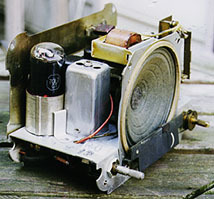 It's still working on all the original parts, including the original electrolytic filter capacitor. 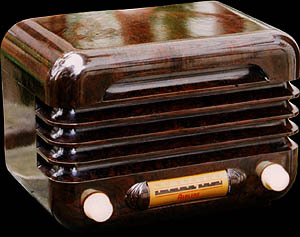 That's no mean feat for a radio this old. 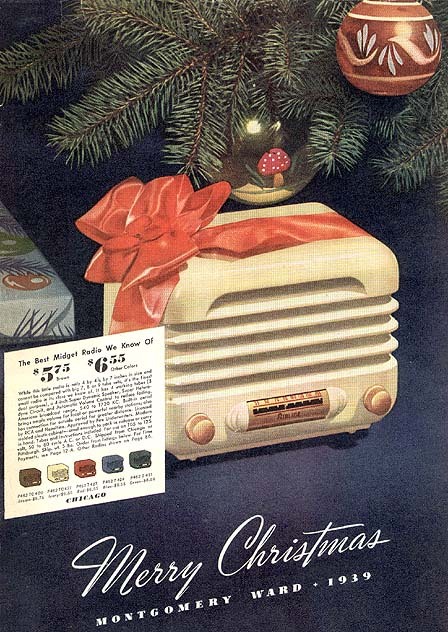 From the Montgomery Ward Christmas 1939 catalog. Here's the text portion enlarged so you can read it. The brown (unpainted Bakelite) one sold for $5.75. The four painted Bakelite colors sold for 80 cents extra.